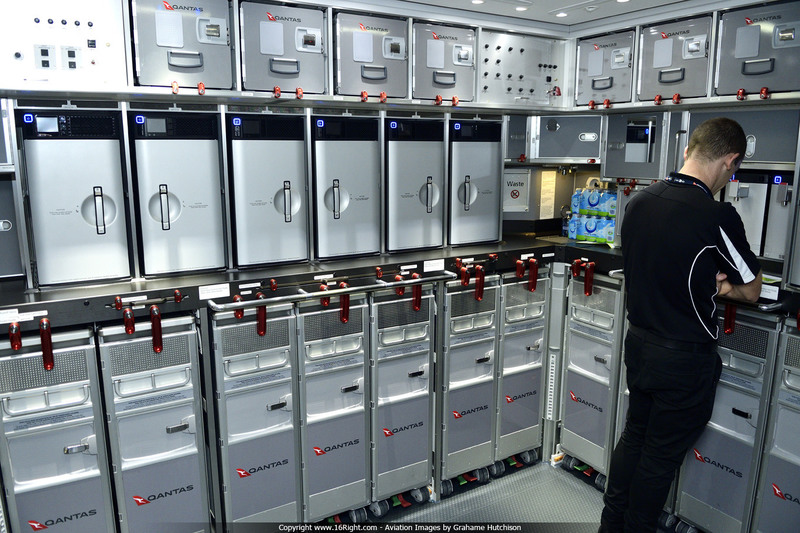 The first Qantas Boeing 787-9 Dreamliner arrived in Sydney on Friday morning, 20th October 2017, at the end of its delivery flight from Everett, Seattle (via Honolulu). 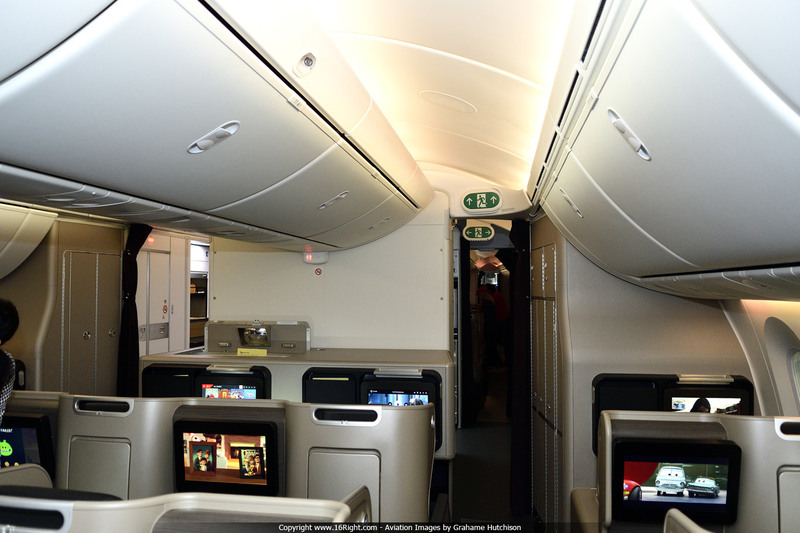 This was my first opportunity to look on-board the aircraft to see the overall layout, and the Business, Premium, and Economy cabins. 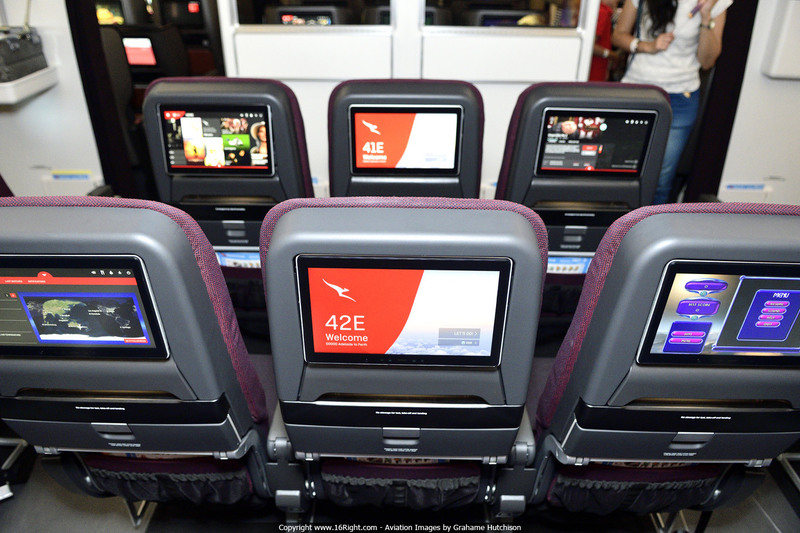 Qantas will operate the Dreamliner with 236 seats, 42 in Business, 28 in Premium Economy, and 166 in Economy, significantly less seats than on other operators of the aircraft (the Air New Zealands' Dreamliners are configured with 302 seats, 18 Business Premier, 21 Premium Economy, and 263 Economy). 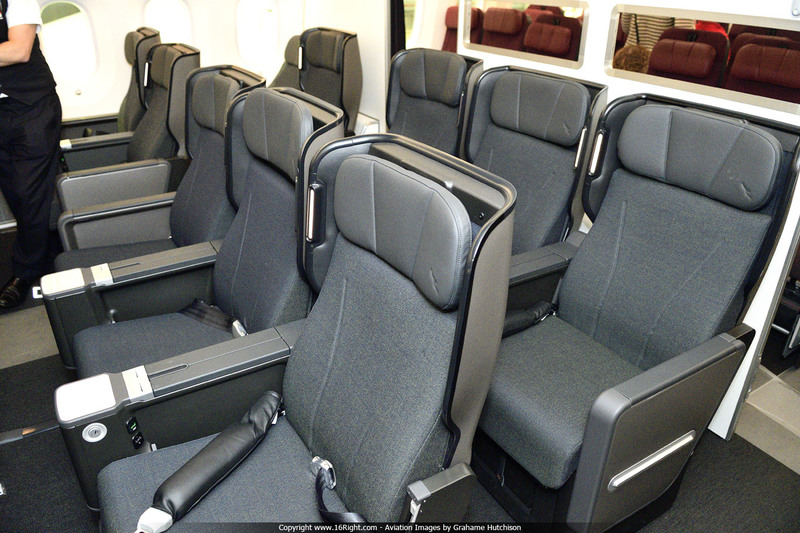 This extra room will be appreciated by passengers on the extra long 17 hour Perth-London non-stop services. 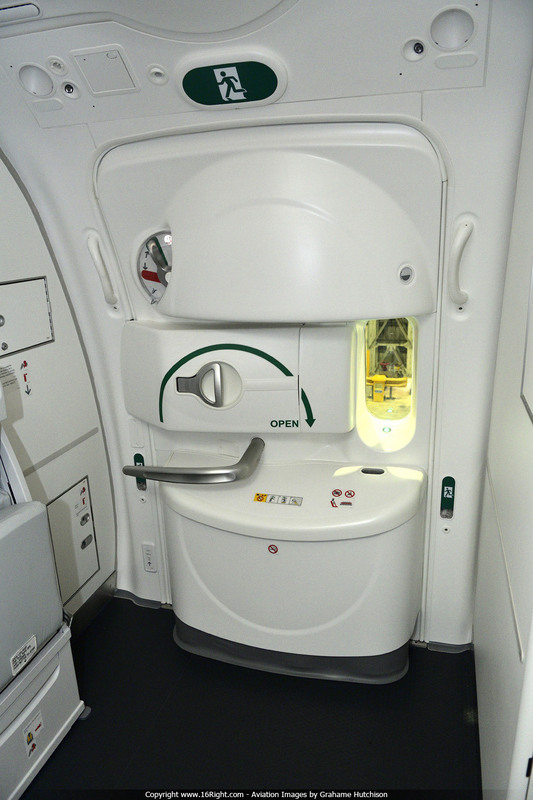 Passengers will have seven toilets available, one wheelchair accessible, and three with baby change facilities. 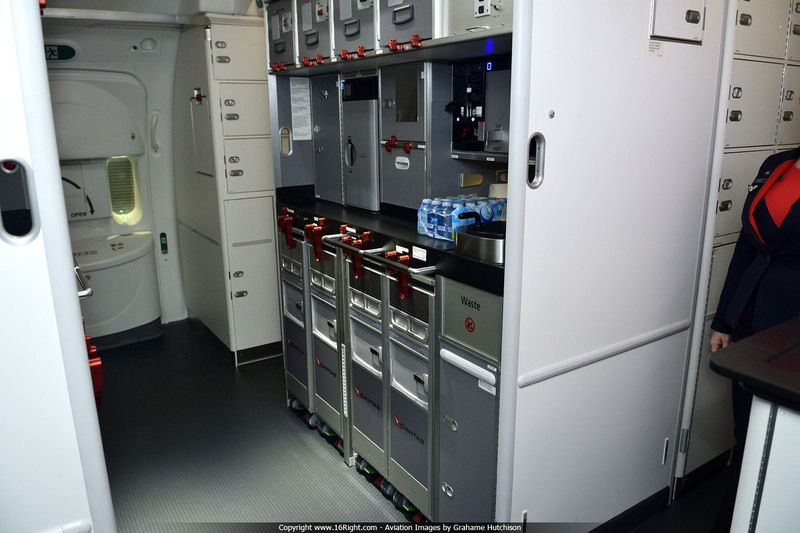 Cabin Crew will operate from three Galleys, Forward, Middle, and Aft, with the aft Galley running the full width of the aircraft. 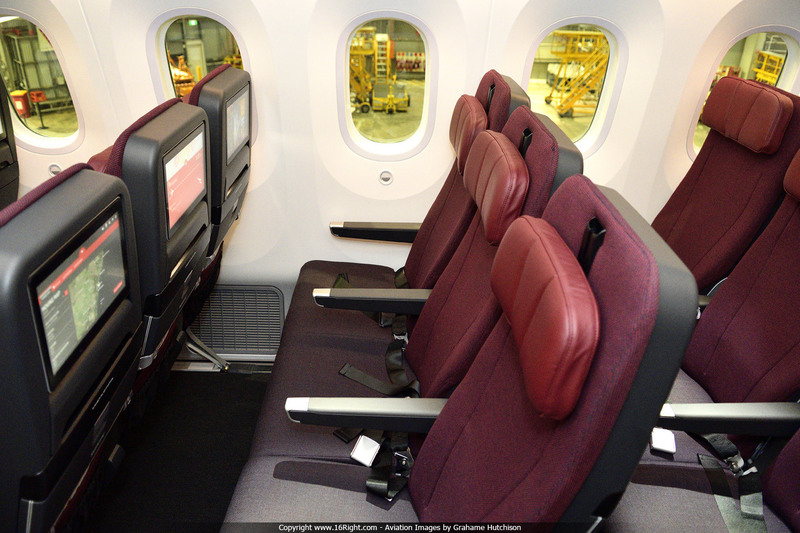 There is a large Economy Cabin at the rear of the aircraft with 124 seats, and a smaller Economy Cabin just forward with 42 seats. 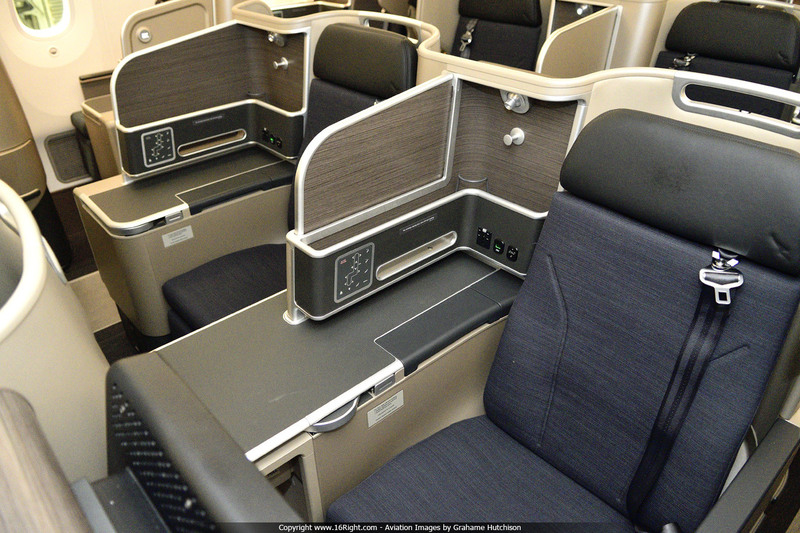 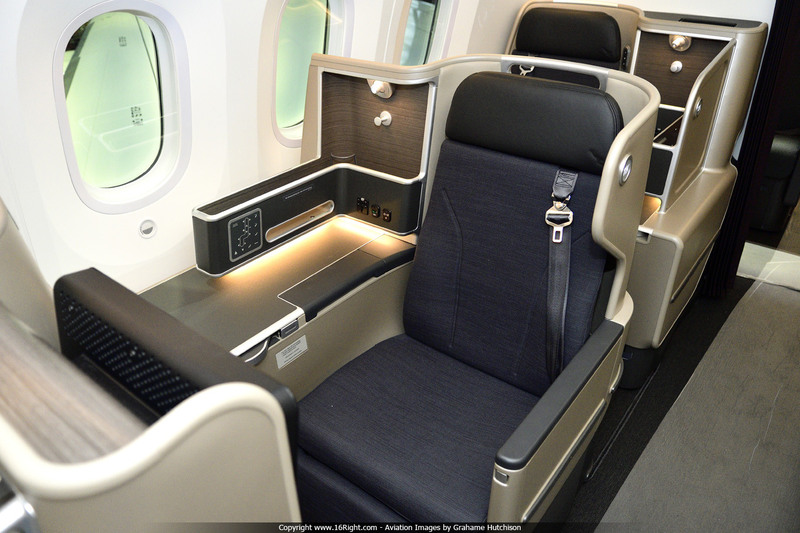 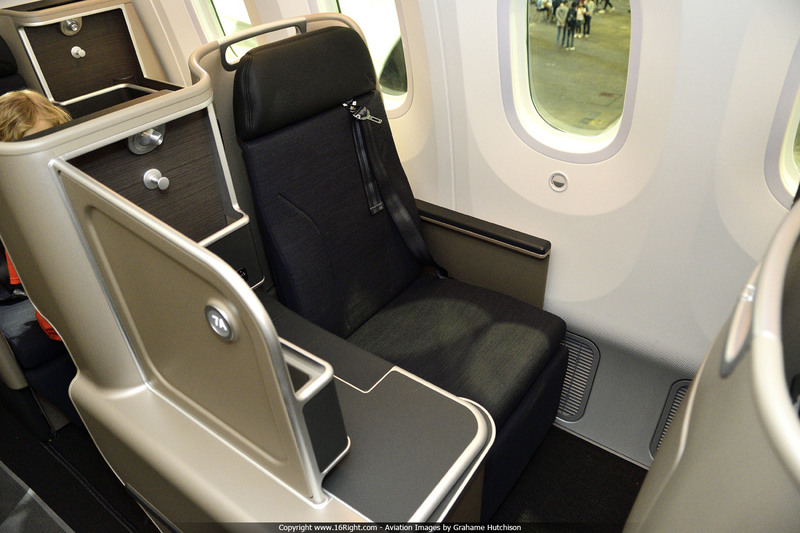 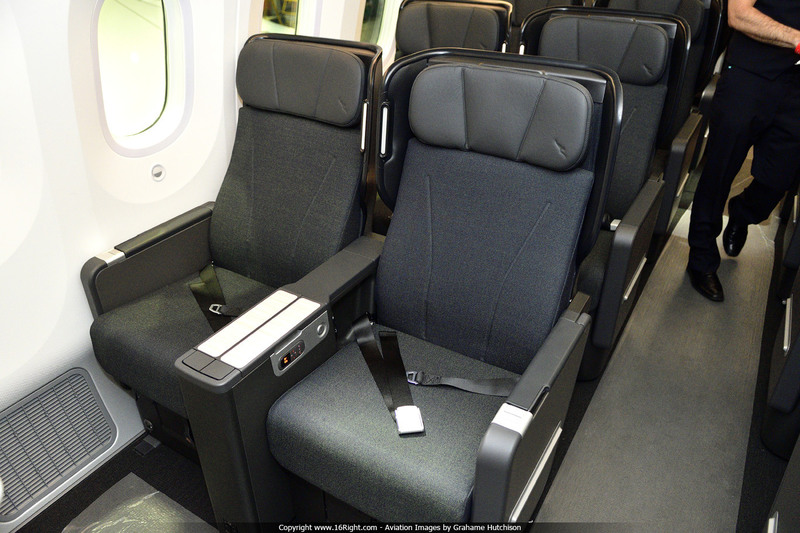 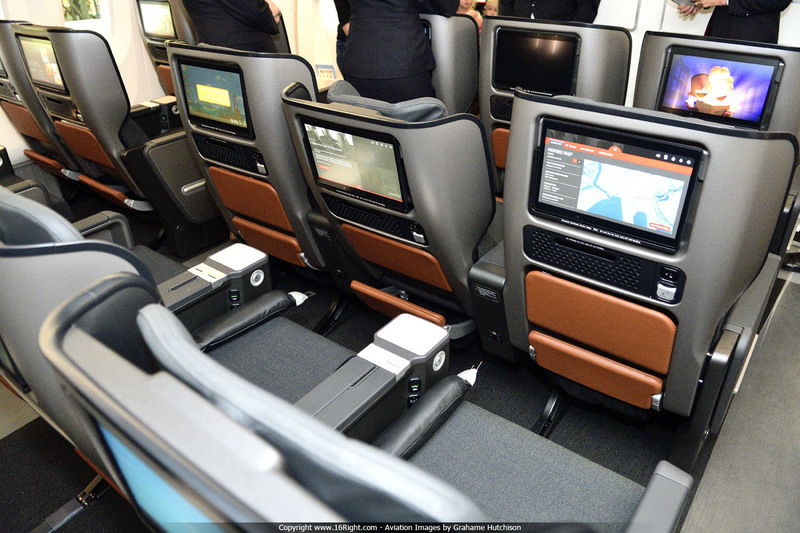 The Premium Economy Cabin forward of Economy has 28 seats, and the Business Cabin is divided into a smaller cabin forward of Premium Economy with 12 seats, and the main Business Cabin in the forward section of the aircraft with 30 seats. 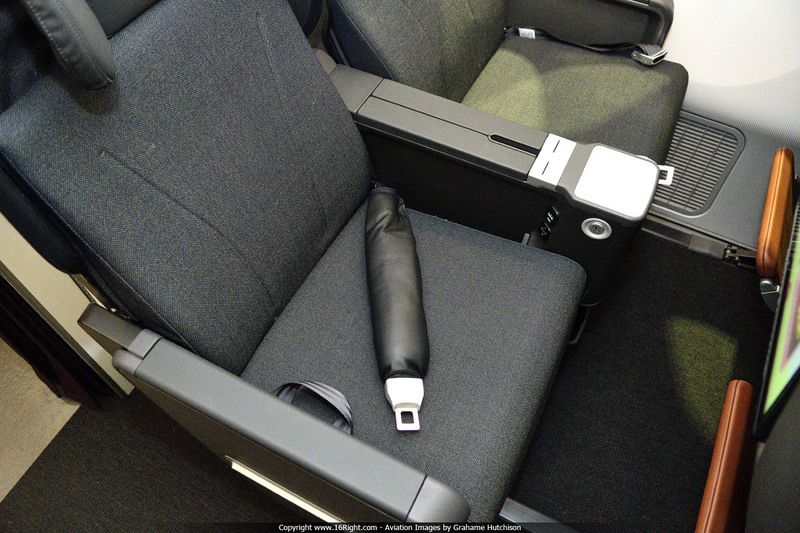 At the front of the forward Economy Cabin there is a bassinet on both sides (Row 40 ABC/HJK). 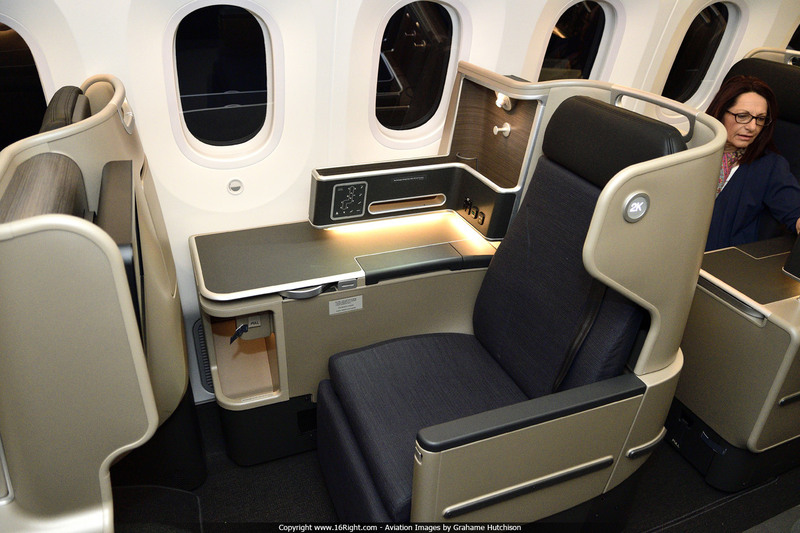 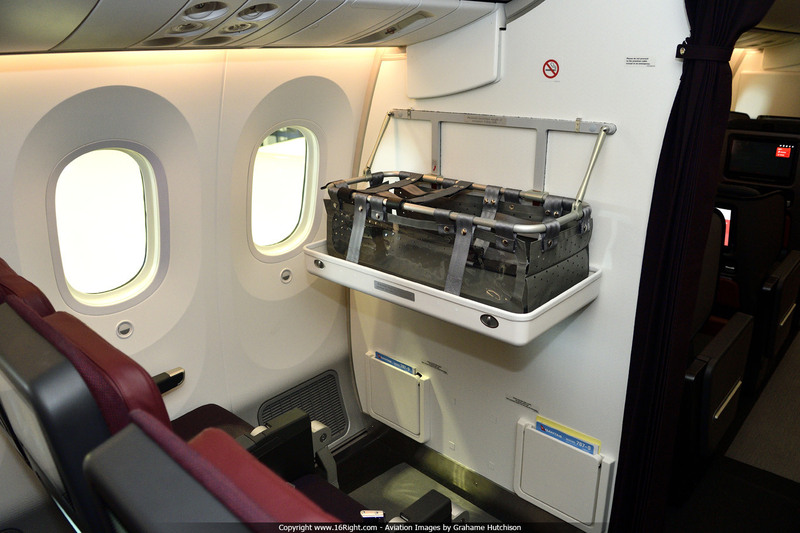 There is also a bassinet if the front row of the Main Economy Cabin, this time for the centre three seats (Row 46 DEF). 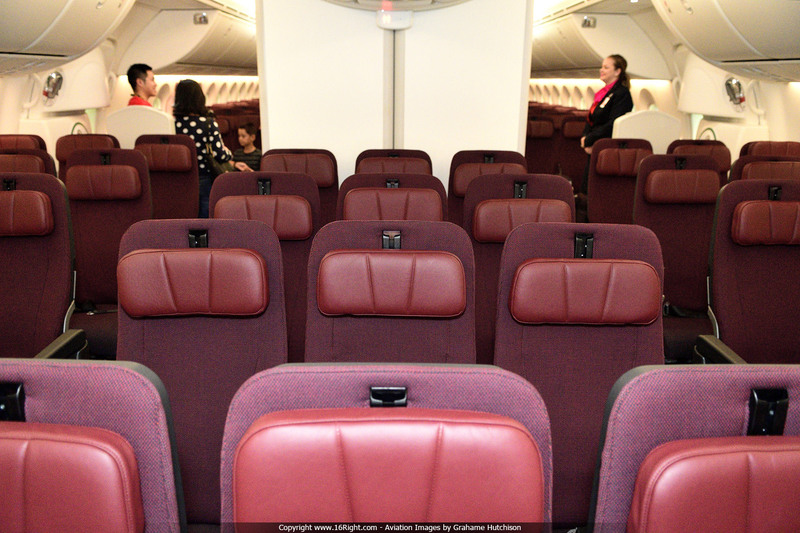 Both Business cabins have one bassinet in front of the centre seats in Row 1 EF and Row 10 EF. 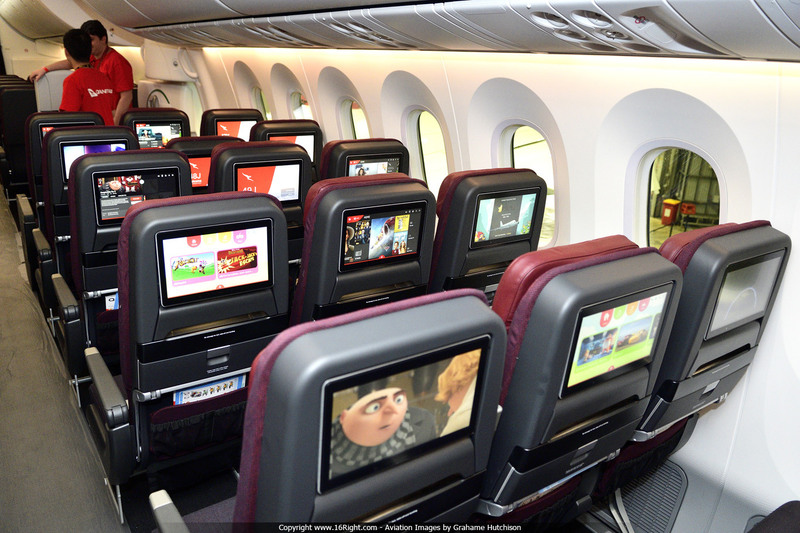 The Premium Economy has a bassinet on either side of the front row of seats, Row 20 AB and Row 20 JK. 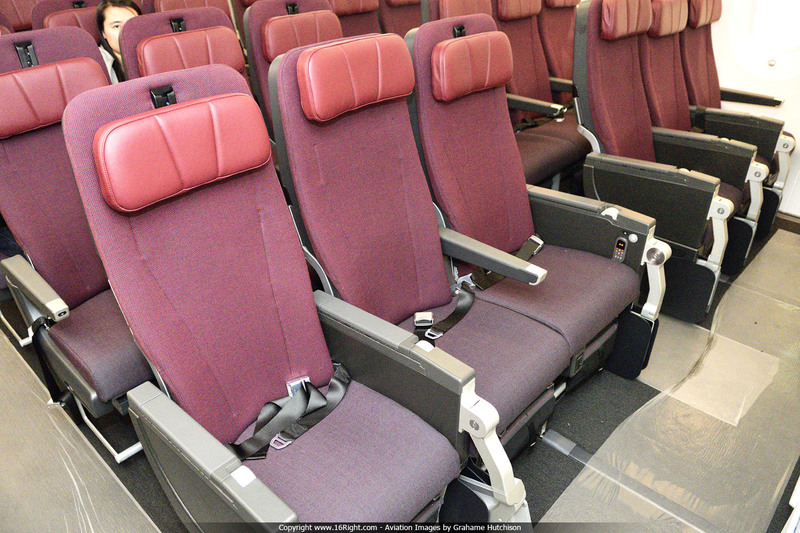 The seat reclines to a 2m fully flat bed, and the seat number acts as a "Do Not Disturb" indicator to the Cabin Crew. 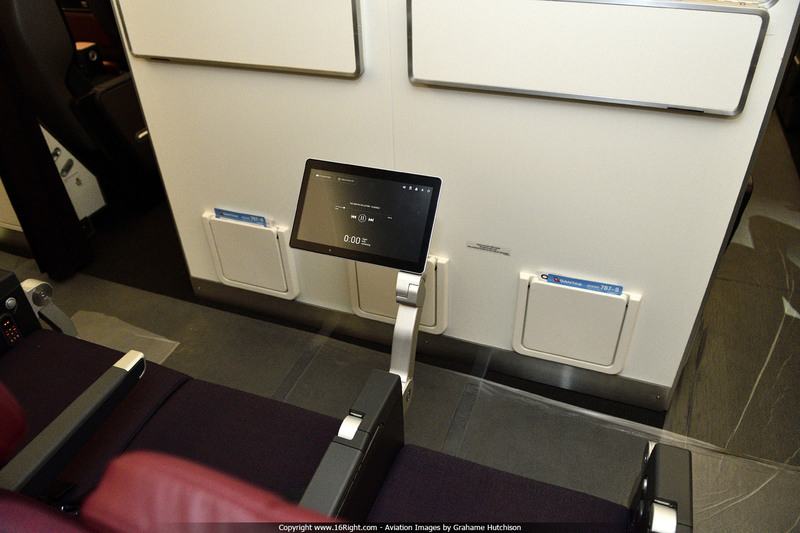 The IFE screen size is 16". 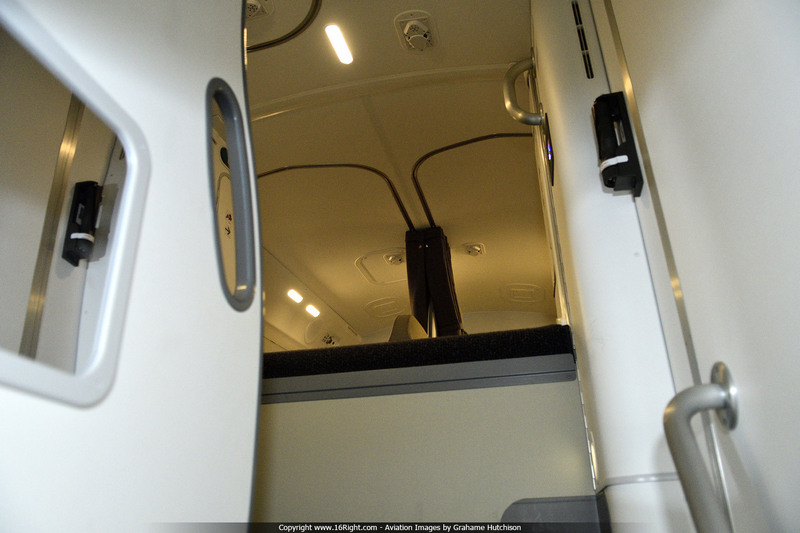 The forward Crew Rest is located in the ceiling above the front Business Cabin, with access via a door in the forward galley. 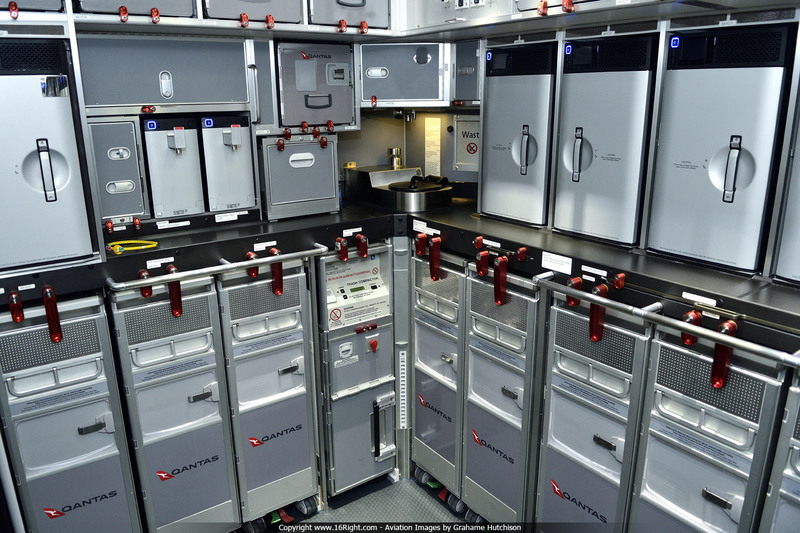 Vertical steps lead up to two bunks and a seat. 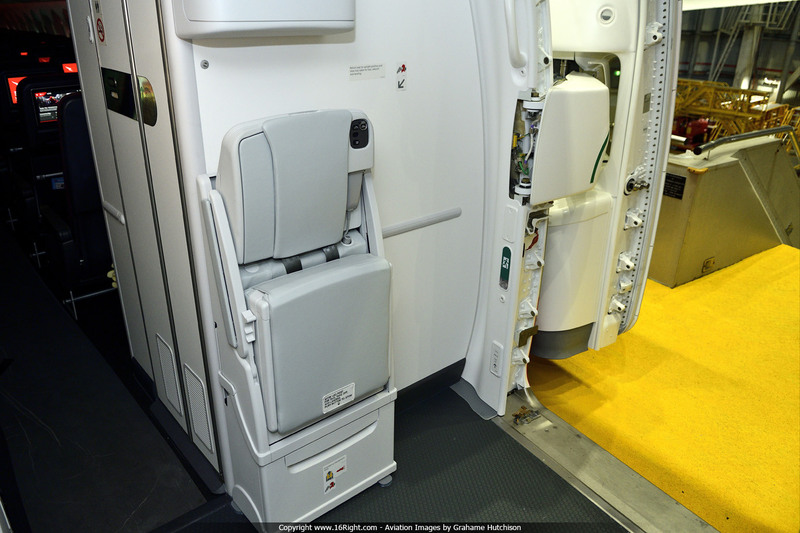 There is also a rear Crew Rest in the ceiling above the back of the Main Economy Cabin, with access via a door in the port side walkway between the rear galley and Economy Cabin. 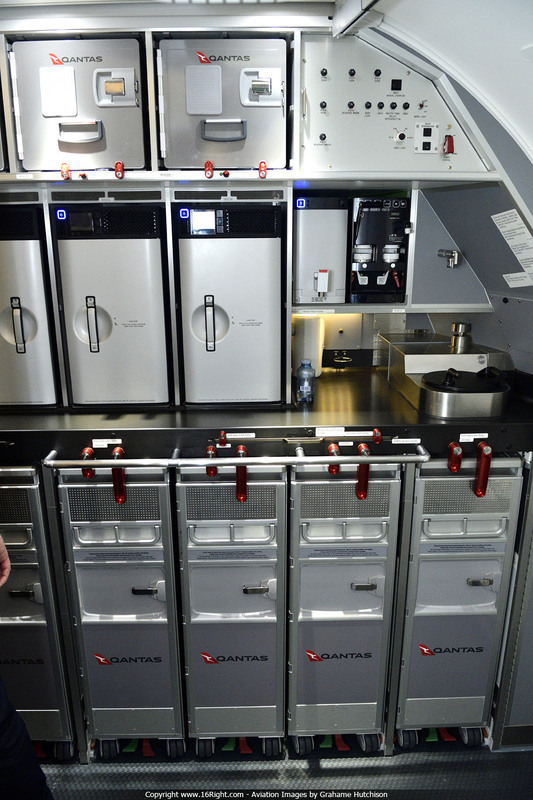 This Crew Rest has six beds, three side by side forward and aft.